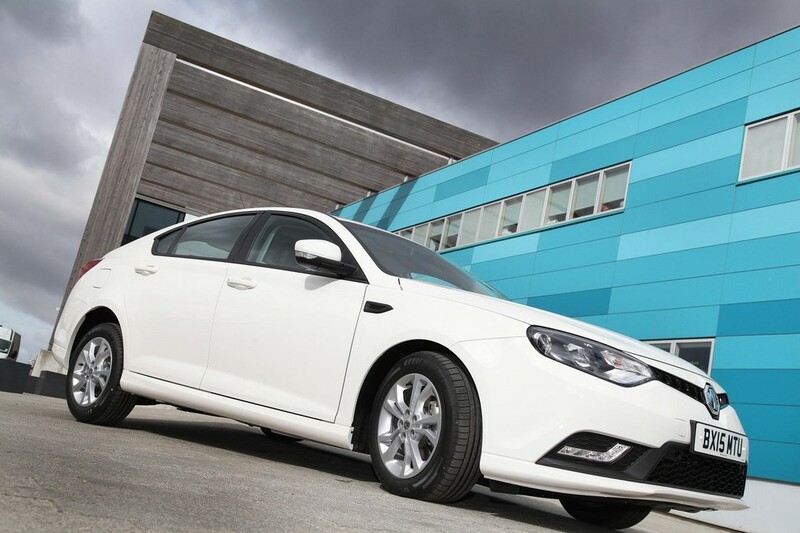 MG went official over the facelifted MG6 that has been introduced with a few changes. A new feature that the car gets can be seen right in the front fascia with LED daytime running lights. The bumpers have received a slight reshaping. The most significant improvement is no doubt under the skin. This facelifted model runs on 1.9-liter diesel engine that the company claims to have improved quite a much. The performance figures are still the same- power output of 150 HP and torque output of 350 Nm. But the emissions are now lower, amounting to 119 g/km CO2 emissions. This is a cut down of 10 g/km than the previous model. The car consumes just 4.6 liter of fuel per 100 km. MG6 has a fuel economy of 61.4 mpg. MG has worked on the architecture and cut down 75 kg to make this model lighter. Also, it can complete the 0 to 96.5 km/hr sprint in 0.5 seconds less as compared to the outgoing model. The acceleration takes only 8.4 seconds now. Buyers have the choice of three trim levels for MG6, that is S, TS, range topping – TL. The pricing starts at 13,995 GBP, which is the cost of the base model. The S trim has heating for the front seats as a standard feature. The car runs on 16-inch alloy wheels. It has electronic differential known as E-Diff. It works with stability control system to offer more safety. TS features leather seating that is partly man-made, auto dimming mirrors, cruise control, and automatic wipers and lights. The range topping model TL has leather for the whole interior, parking camera and HID lights. It comes with electric seats and dual zone climate control. Another exciting feature of the car is the HID units that track the turning of front wheels and therefore the divers get a clearer view of the path ahead.